Hi world! welcome to Life Images by Jill Harrison. Thank you for stopping by. Please note I am not currently updating this site. For my most recent work, please visit me on my blog – Life Images by Jill – by clicking on the tab above here. I have lots to show you about travels, photography, food and life, so I hope you will visit me over there. Thank you! 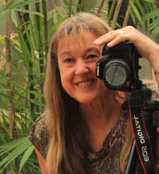 I am a Freelance Journalist and Photographer based in Bunbury Western Australia. I have a passion for travel, and wild-flower and food photography and specialise in Western Australian travel articles and stories about inspiring everyday people. Through my writing and photography I seek to express myself and preserve images and memories of the beautiful world in which we live and the people in it. I completed a Higher Diploma of Advanced Freelance Journalism with the Australian College of Journalism and started writing freelance in 2002. Since then I have had articles published in Australian Coast & Country, Go Camping Australia, On The Road, Flourish, Perth Vita, Australian Vital, Australian Photography, Western Angler, Homes and Living, Great Walks magazine, RRR Network News (for rural, remote and regional women in Western Australia), and South Culture magazine. I also completed the Western Australian Holiday Specialist Training Programme run by Tourism Western Australia and attended several Summer School weekend photography courses run by University of Western Australia Extension. I have completed several on line photography and processing courses, and am currently a member of “Digital Photography School” and “Flickr”, online forums that are extending my photography and writing skills. I am also a contributor to Getty Images. I am a member of the writers’ group – South Side Quills in Bunbury and the Fellowship of Australian Writers Western Australia. I am also a member of the Photography Group of Bunbury and the Western Australian Photographic Federation. I enjoy photographing and writing about our magnificent country and seek to continually improve. Travelling around my wonderful state of Western Australia is on top of my list of things I love to do. Great new site and welcome to WordPress. I’m sure that once editors and businesses find you here you will be over run with assignments.